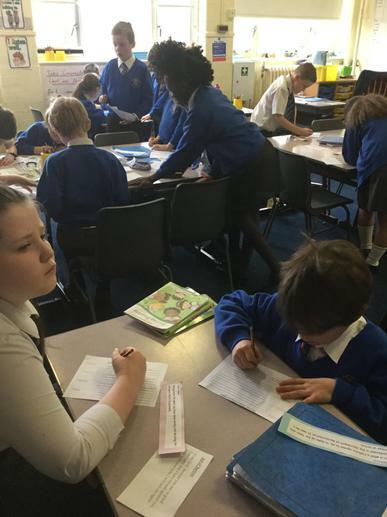 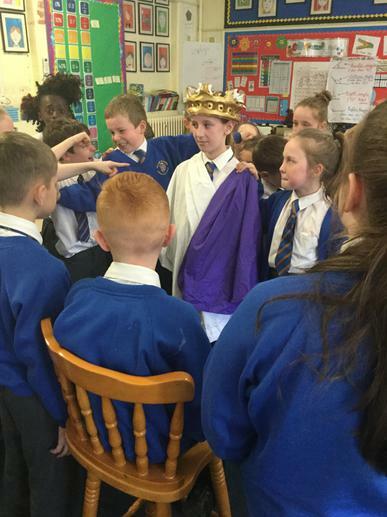 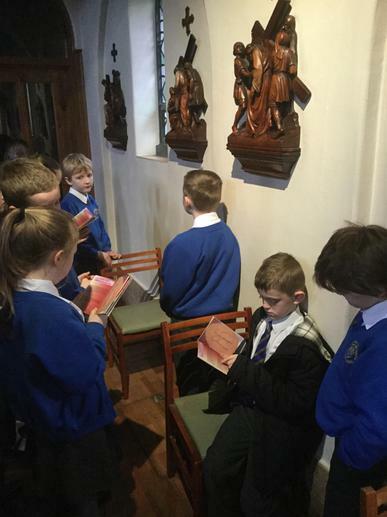 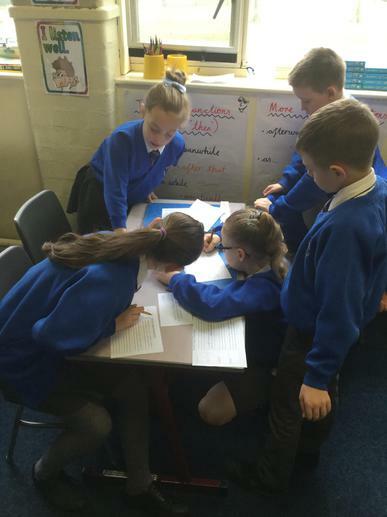 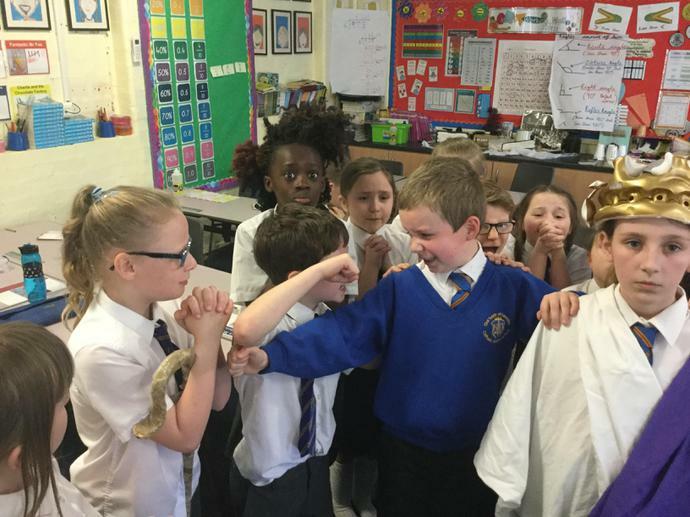 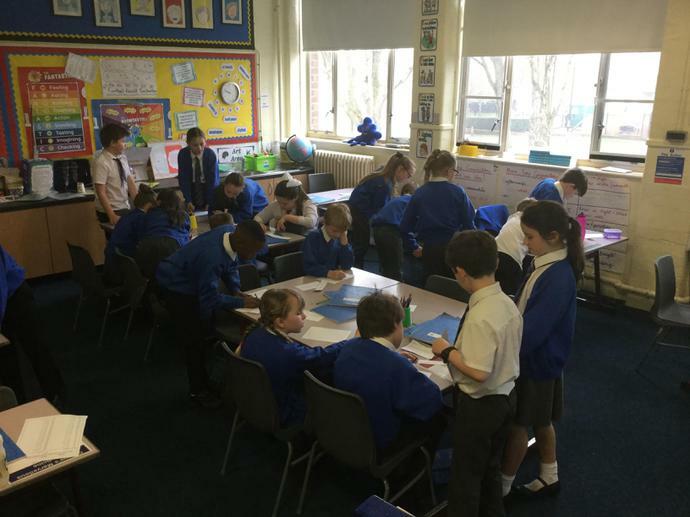 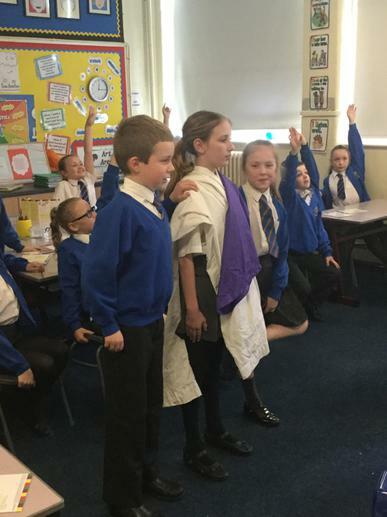 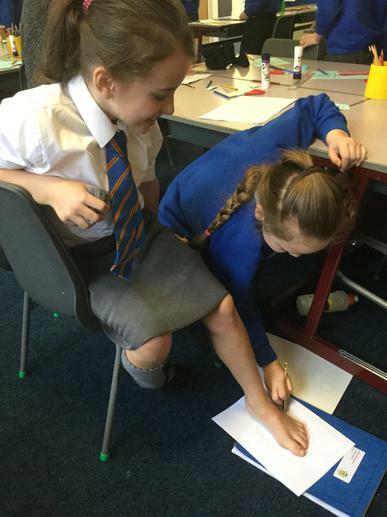 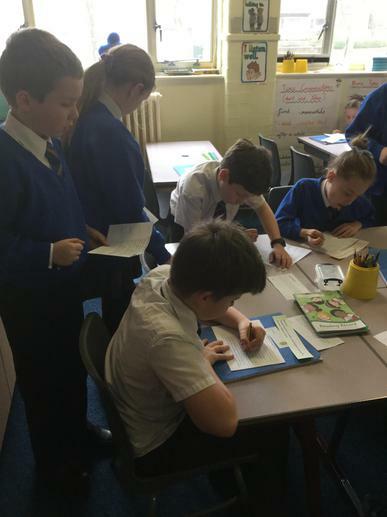 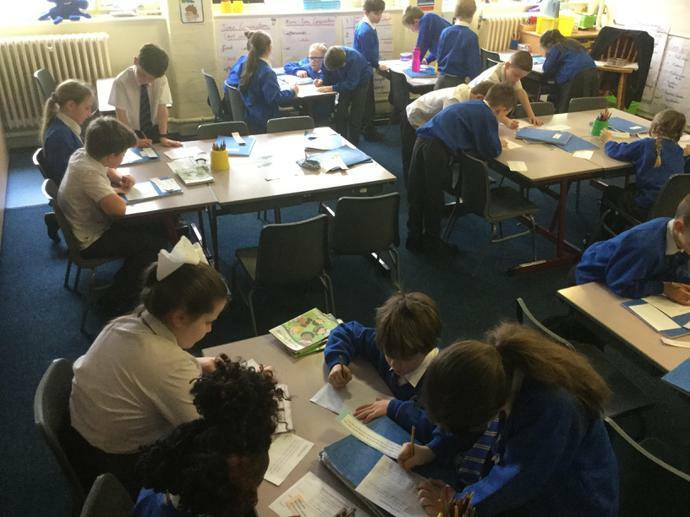 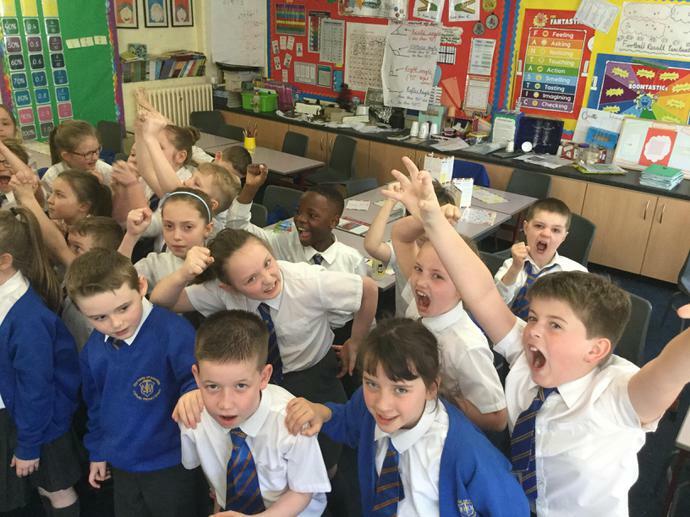 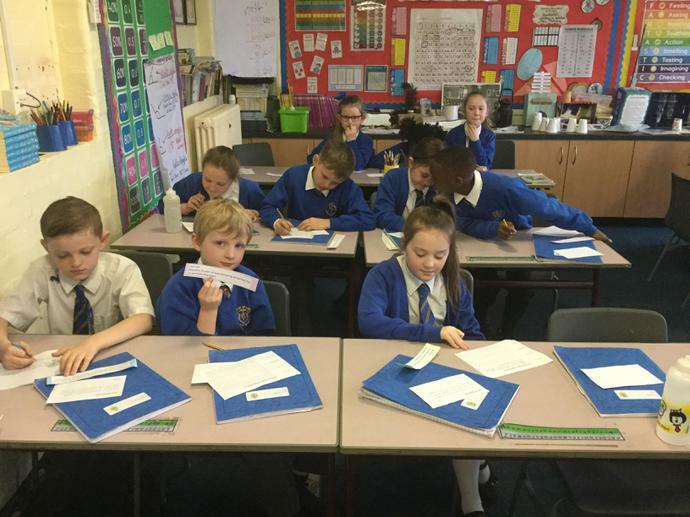 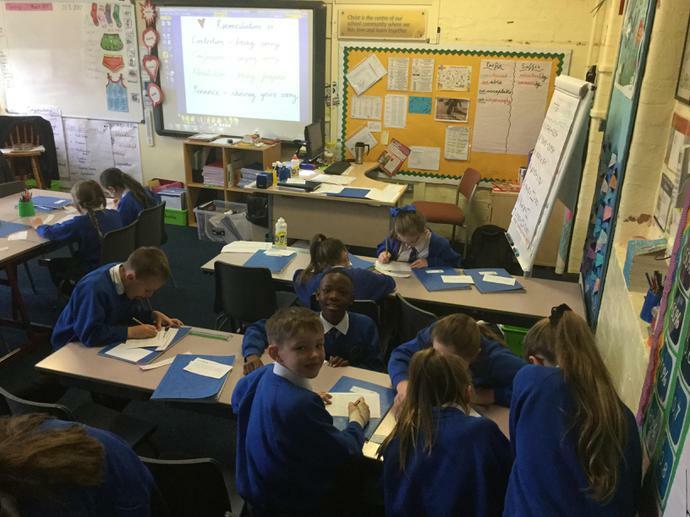 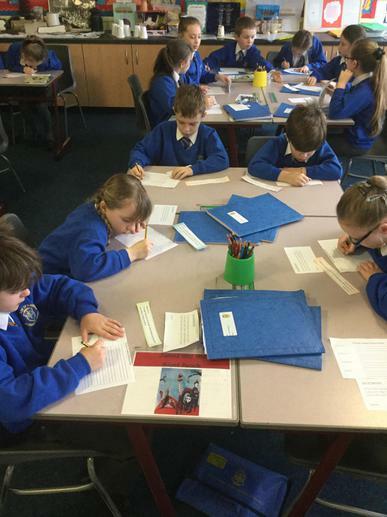 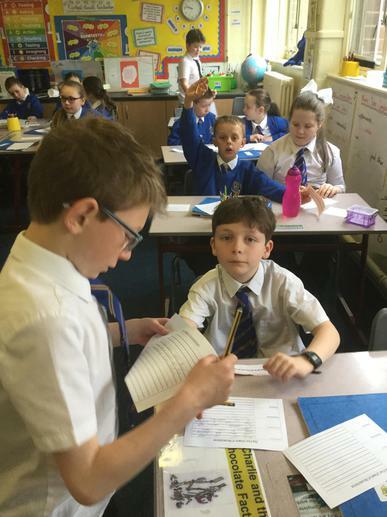 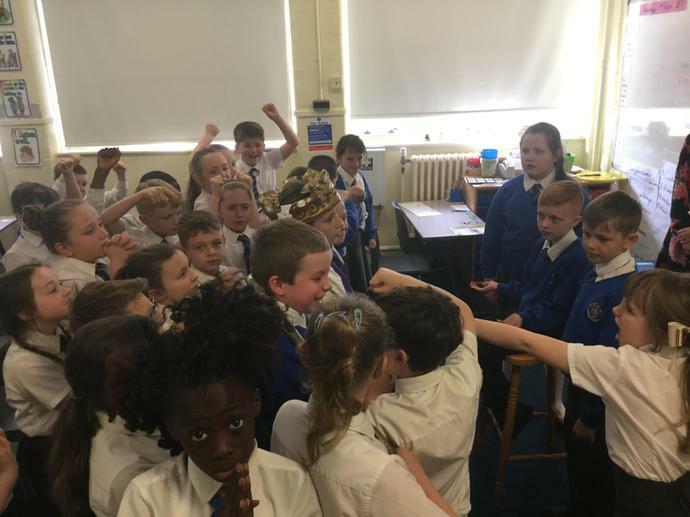 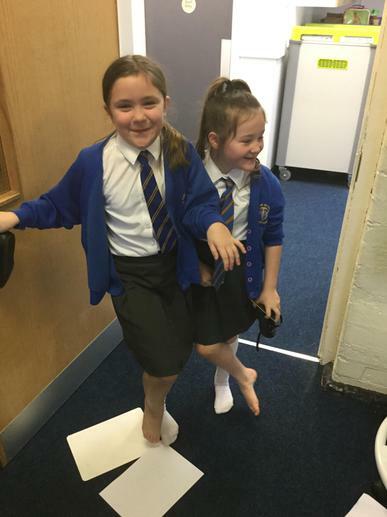 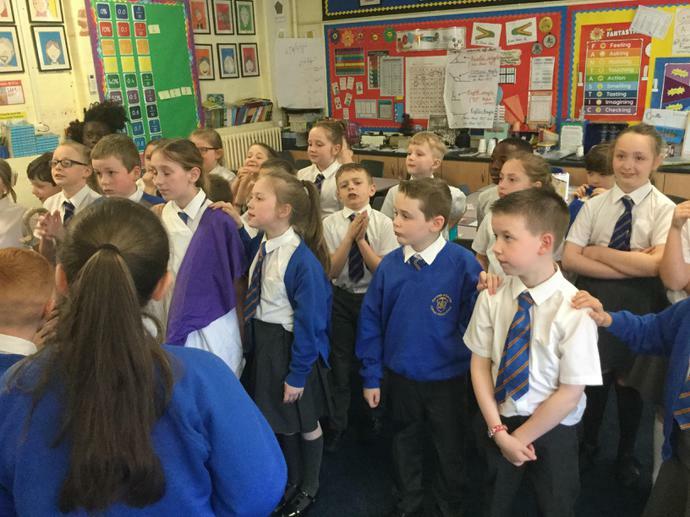 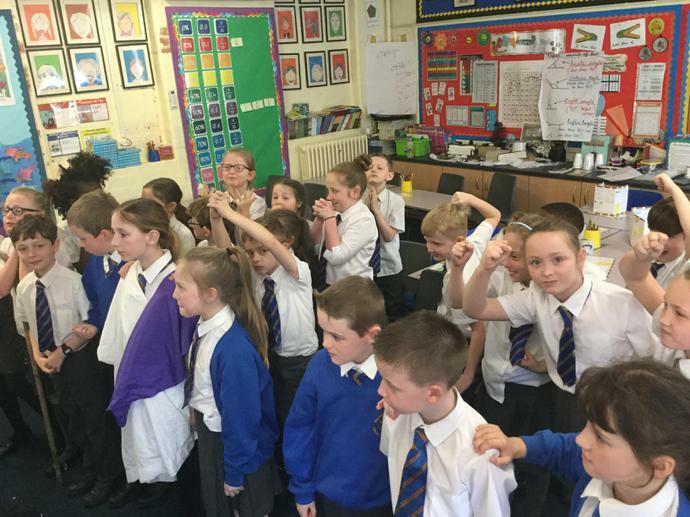 The Trial and Passion of Jesus - This morning Sycamore Class read the Gospel accounts of the trial and Passion of Jesus and reenacted the persecution and trial of Jesus. 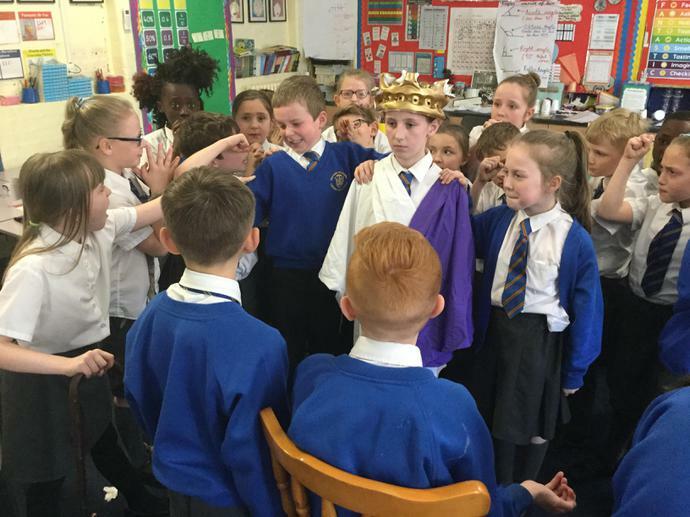 Look carefully at our images...can you tell what role and character each child is playing? 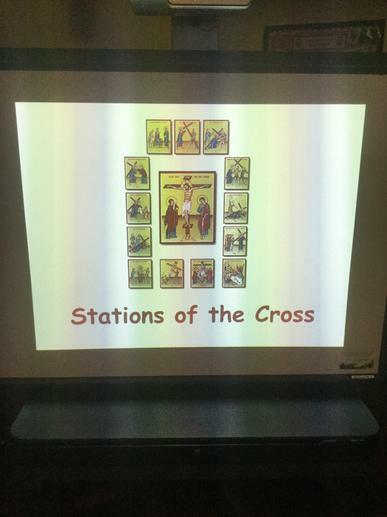 Stations of the Cross Assembly. 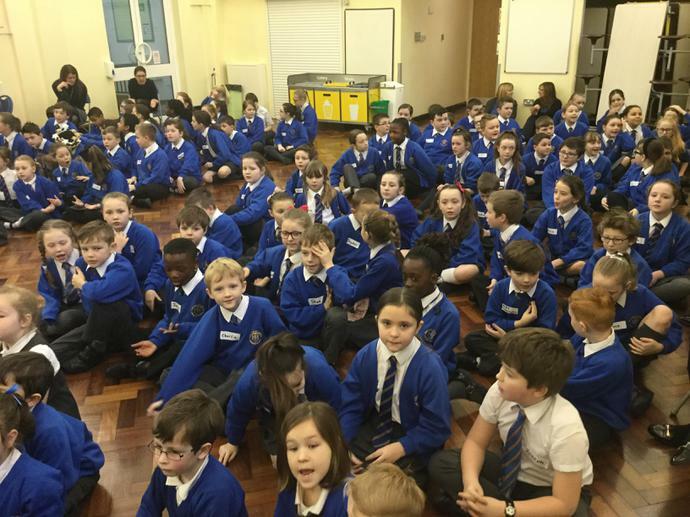 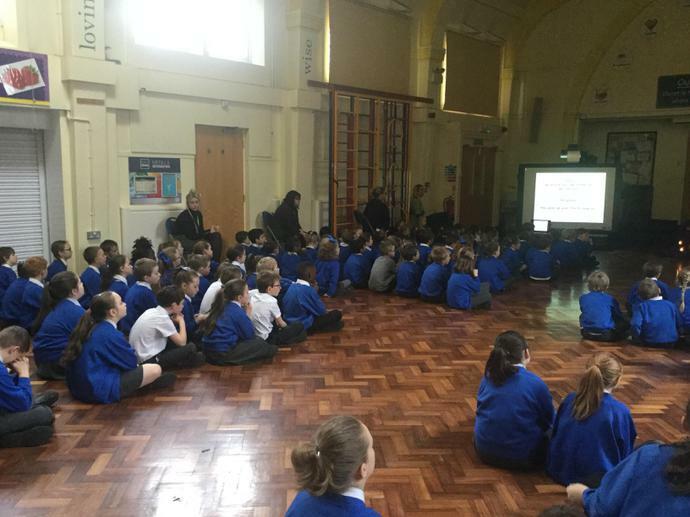 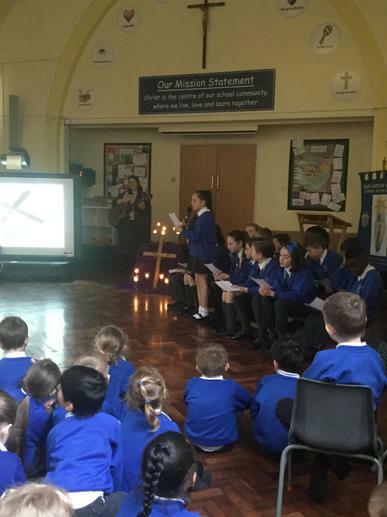 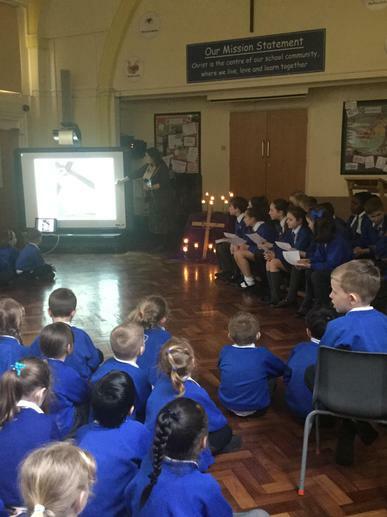 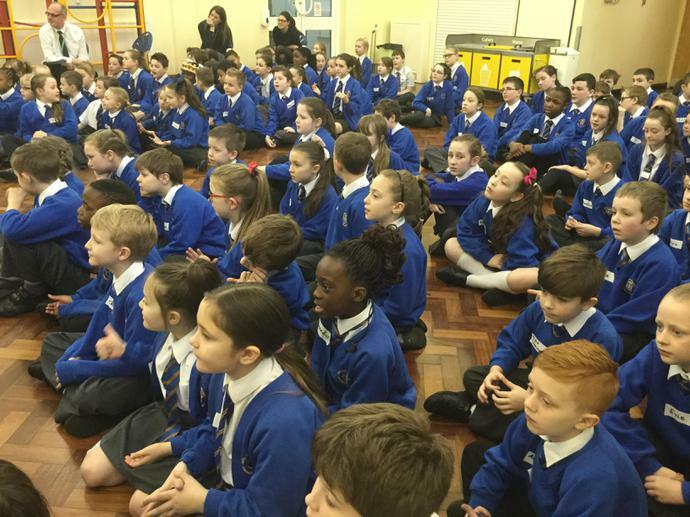 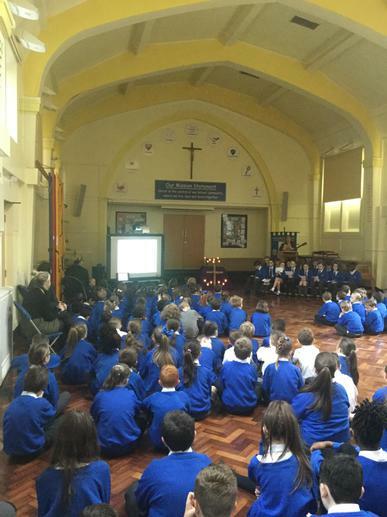 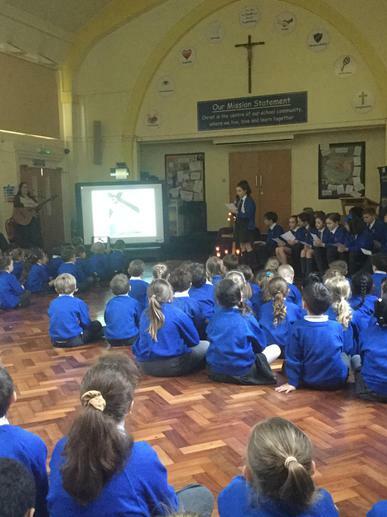 As part of our continuing 'getting ready for Easter' our children shared in a prayerful and reflective assembly with the whole school focusing on the Stations of the Cross and what they mean to each of us in our daily lives. 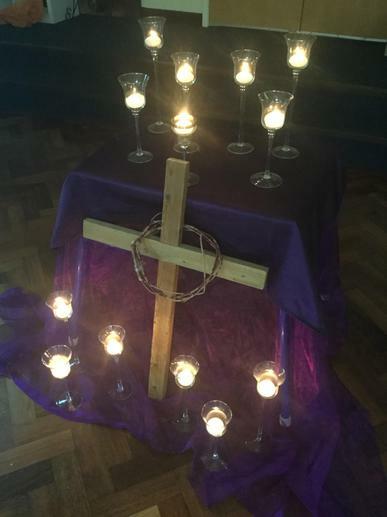 Lenten Preparations...The Importance of Reconciliation. 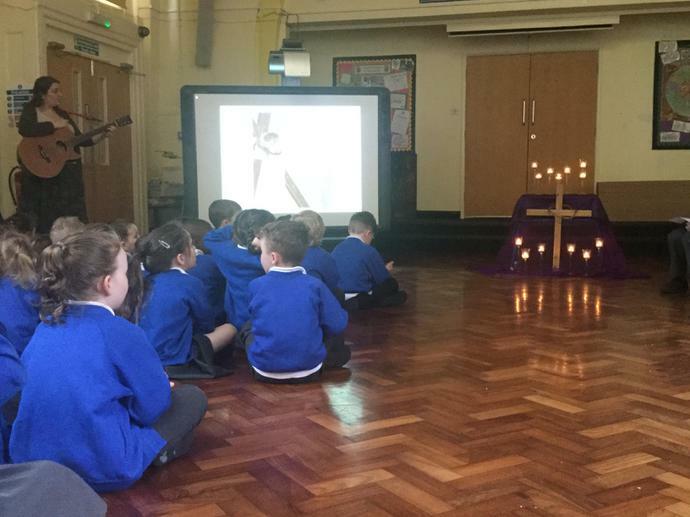 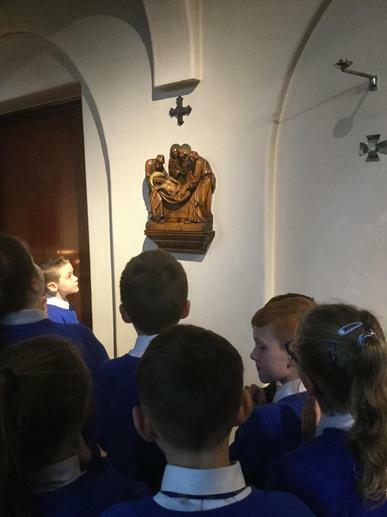 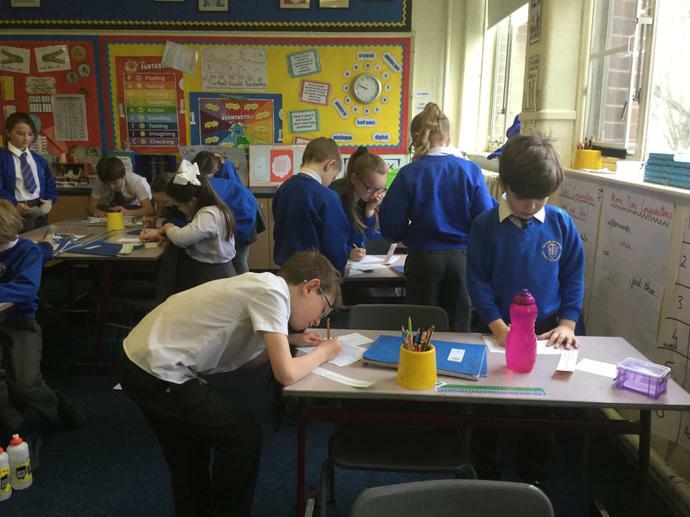 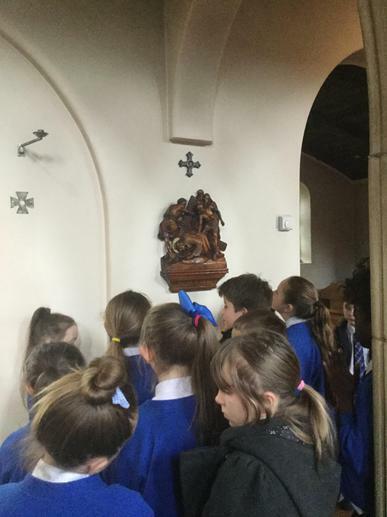 Sycamore Class discussed why the Sacrament of Reconciliation is so important to us. 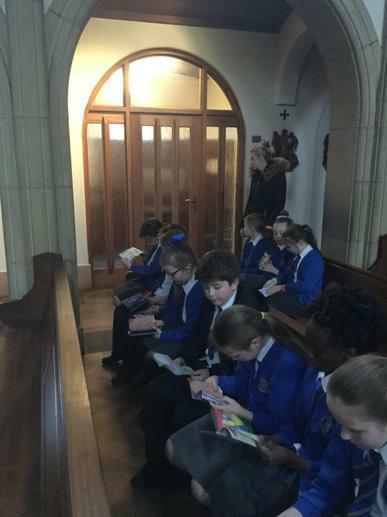 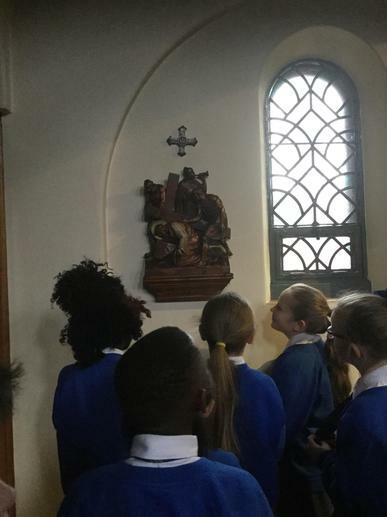 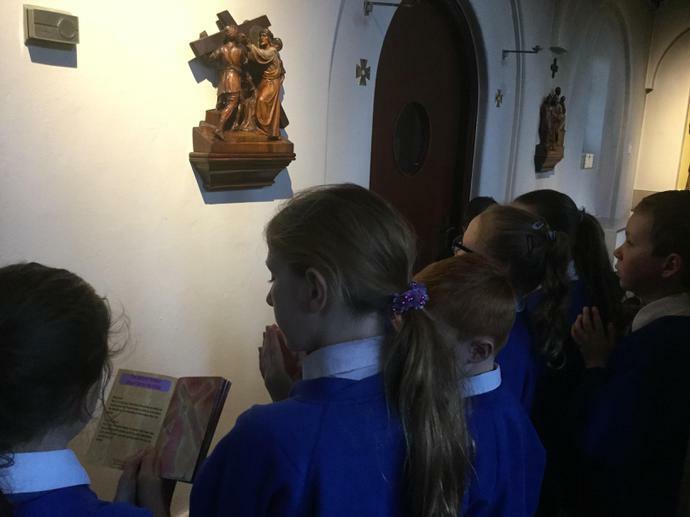 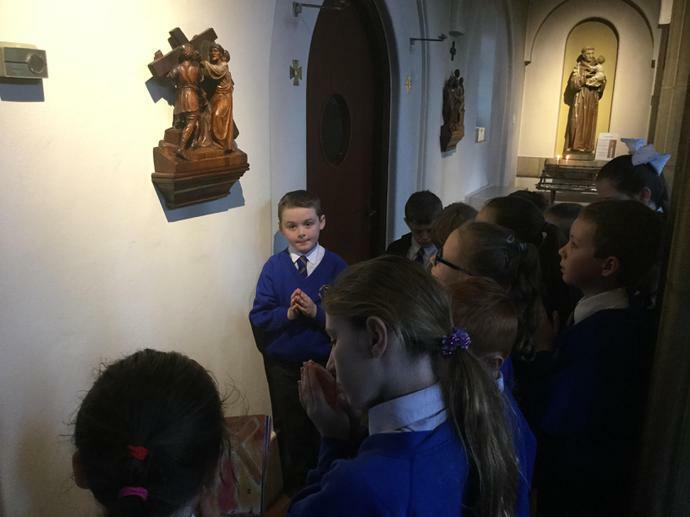 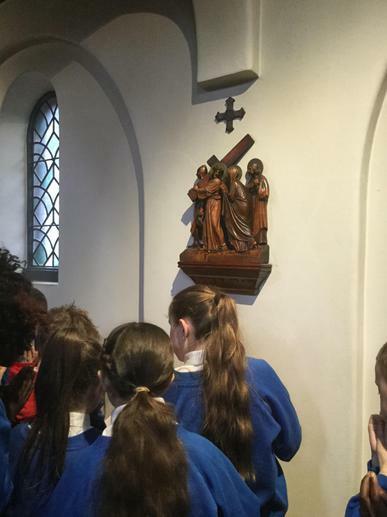 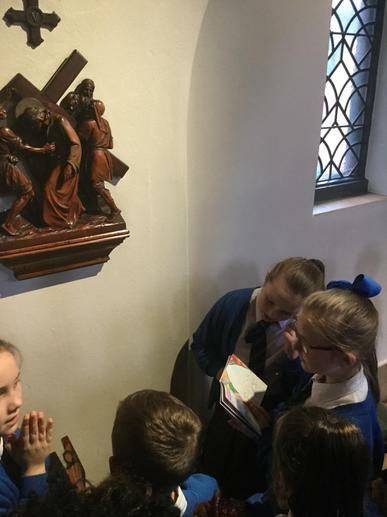 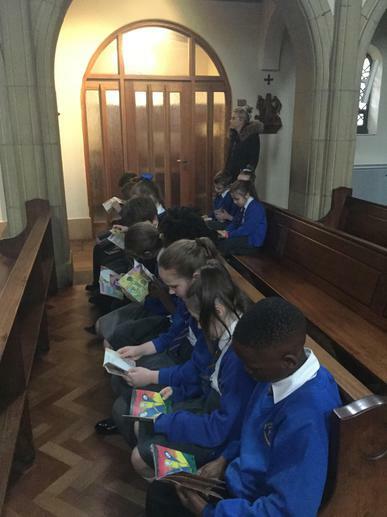 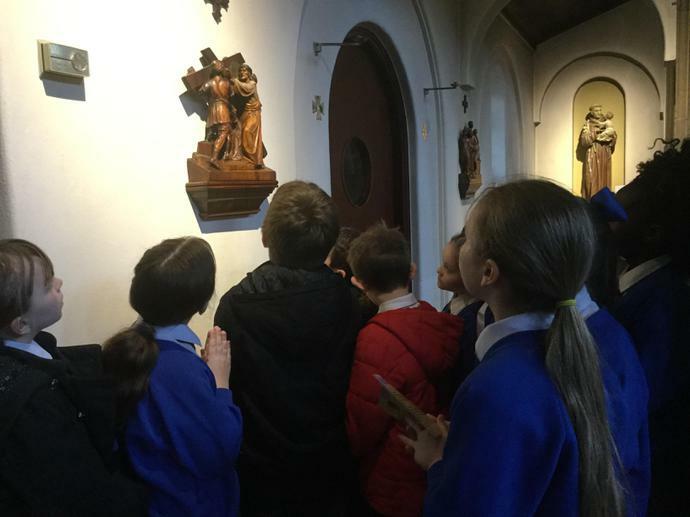 We focused on the four elements of: 'contrition, confession, absolution and penance' and look forward to saying sorry to Jesus as we prepare for Easter. 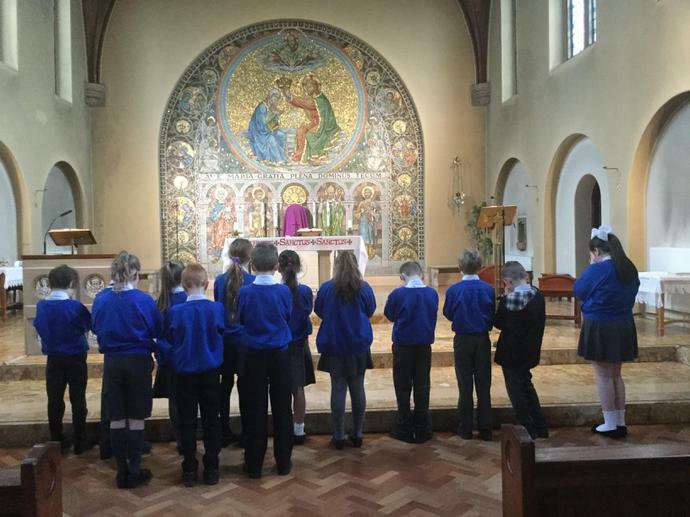 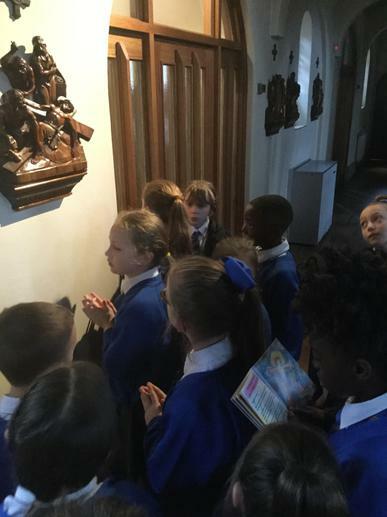 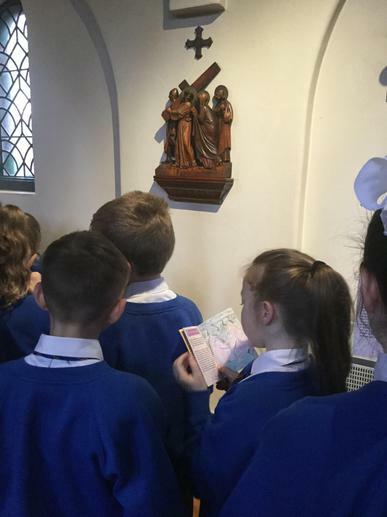 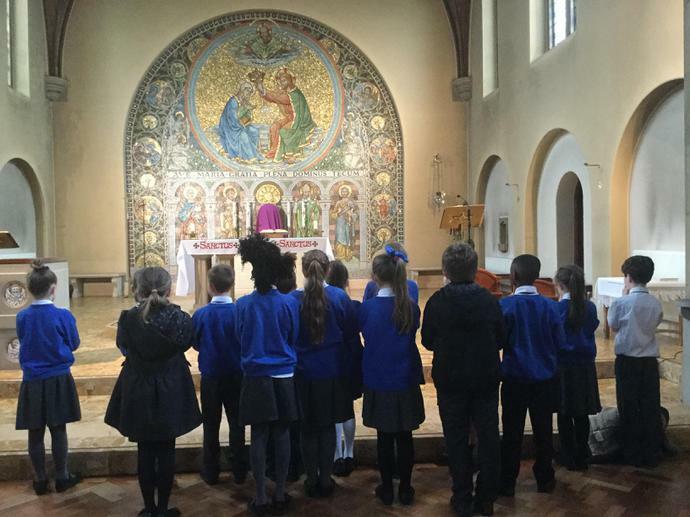 A wonderful retreat day for Sycamore Class and the school with Dan Callow as we prayed, sang and reflected upon how we can follow in the footsteps of Jesus. 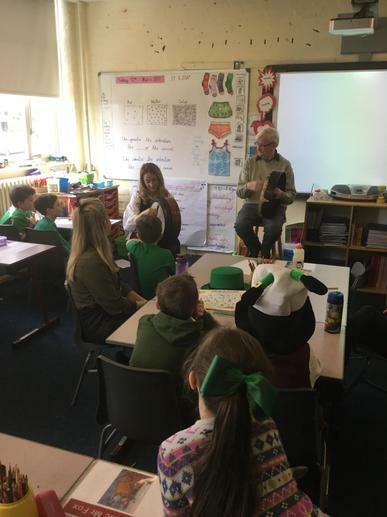 Sycamore Celebrations for St Patrick's Day. 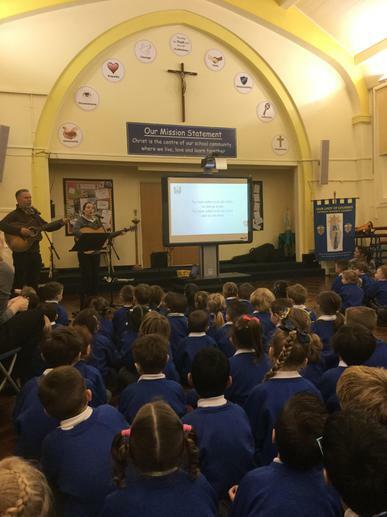 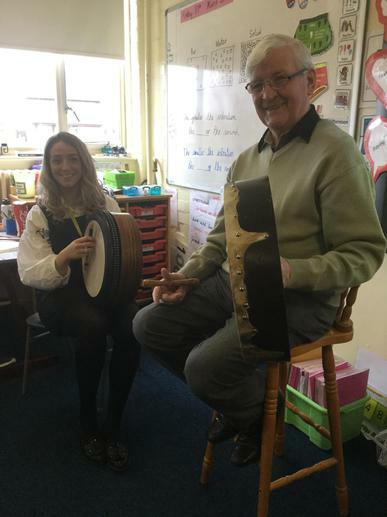 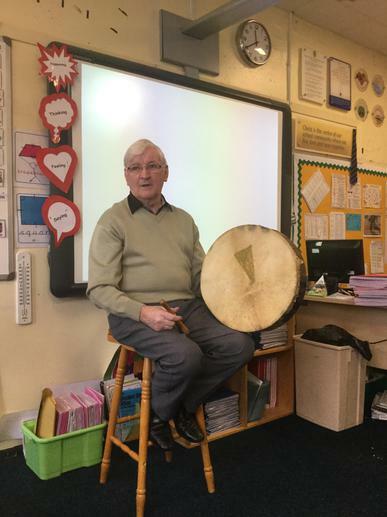 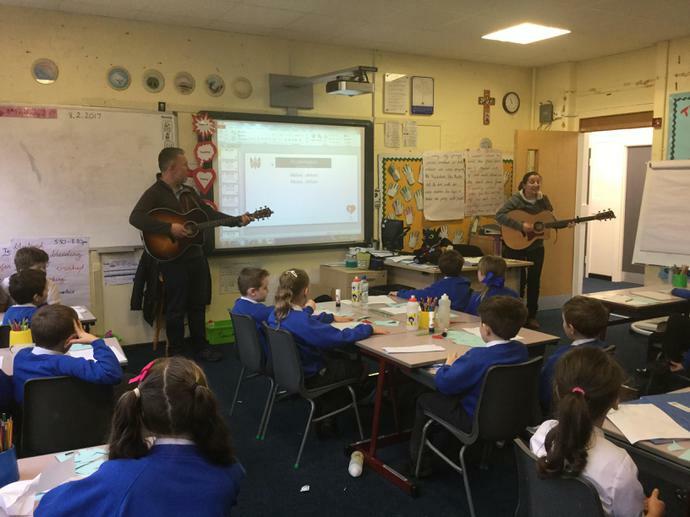 Sycamore celebrated the great legacy of St Patrick listening to Irish music played by Miss Madden and special visitor John Doody.